Eric Andrew James on Pokémon and Twitch. Dorothy Lau on Donnie Yen in amateur-produced YouTube vids. Melissa A. Hofmann on Johnlock meta. Casey Fiesler on AO3 and owning the servers. The next issue of TWC, No. 29, is Fans of Color, Fandoms of Color, guest edited by Abigail De Kosnik and andré carrington. It will appear on March 15, 2019. Fandom and Theatre, papers due January 15, 2020. We particularly invite fans to submit Symposium articles. 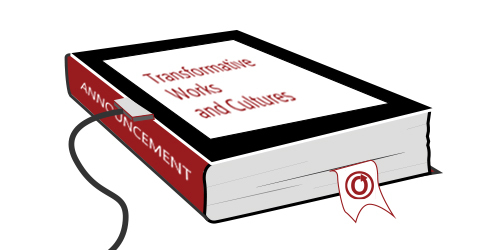 I tried to read transformative works, but when you push the HTML button only one page comes up and it won’t scroll. Do you have to subscribe or some such to read the articles? Is it available for download. I really wanted to read the article about Sherlock. I’m not sure what’s causing the problem as I just opened the issue and was able to scroll through several articles. Could you tell me if these links working for you?